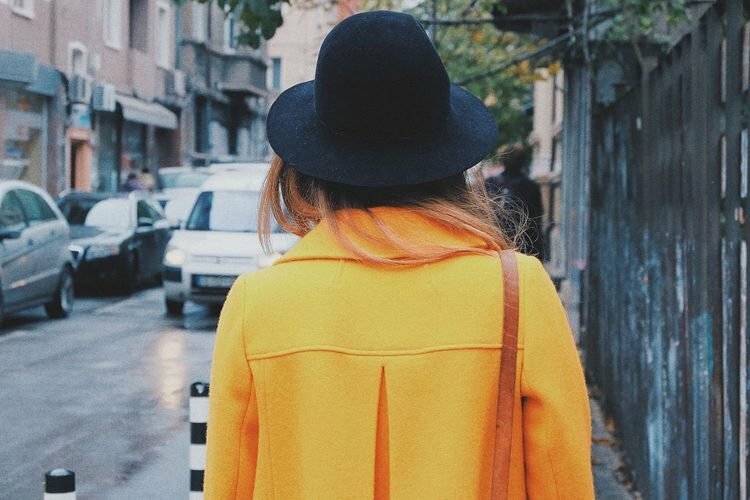 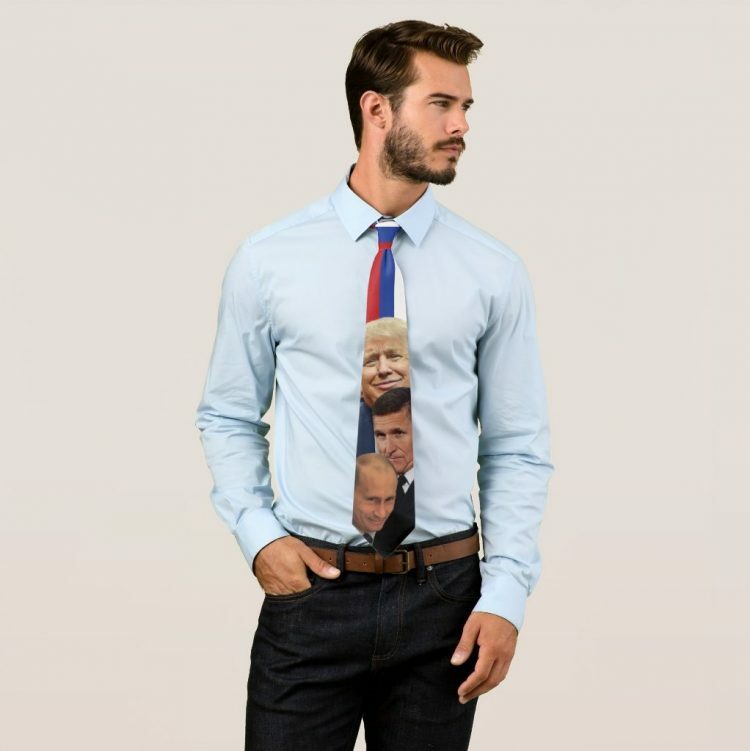 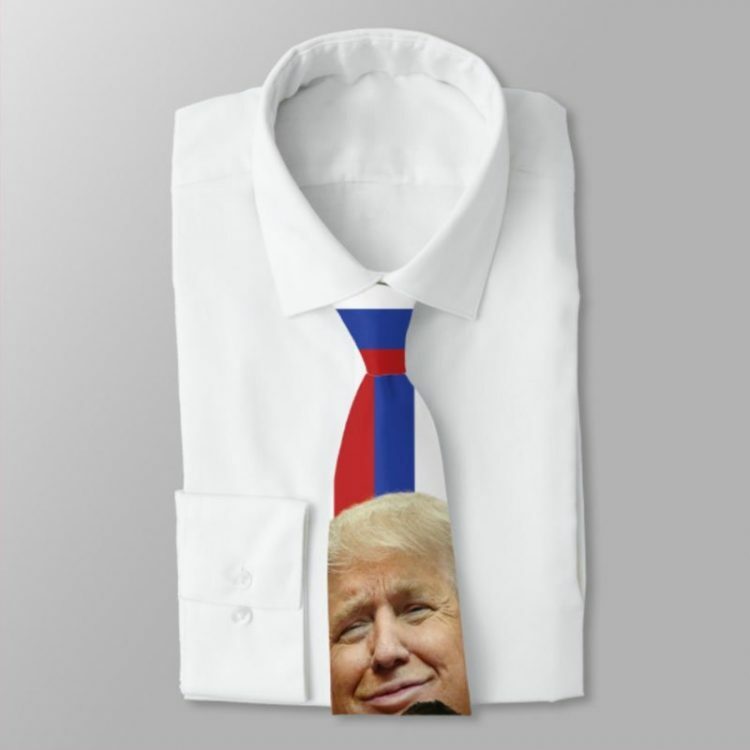 The scandal-themed fashion accessories are sold by a small online shop called Trump’s Russian Ties, and come in the colors of the Russian flag, with the faces of Donald Trump, Vladimir Putin, and several other figures whose names have been mentioned by the media in relation to the controversial investigation of possible collusion of the Trump presidential campaign with Russia. You can currently choose between “The Flynn”, “The Manafort”, “The Kushner”, “The Spicer” (with Sean Spicer hiding in the bushes) and “The Carter Page” (“the most lizard-like tie in Trump’s lineup of Russian Ties”). 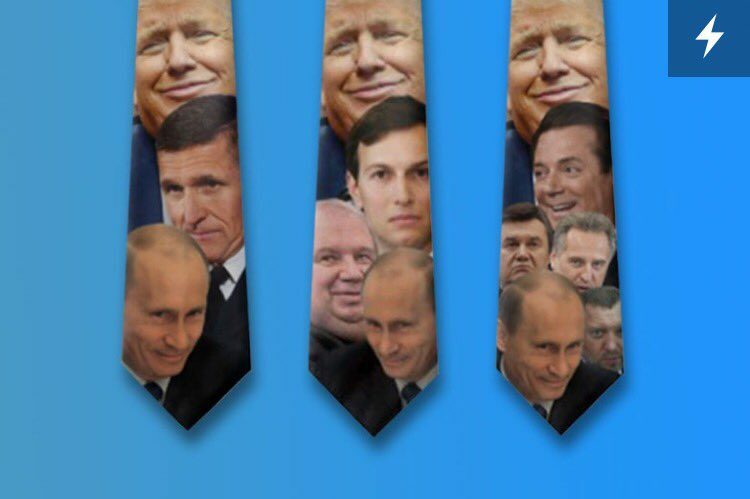 You’ll be glad to know that Tump’s Russian Ties is planning to release new models very soon, including “The Sessions”, “The Tillerson”, “The Roger Stone”, “The Felix Sater”, “The Miss Universe”, “The Sergei Millian”, “The Emelianenko”, “The Ivanka”, “The Donald” and “The Donald Junior”. 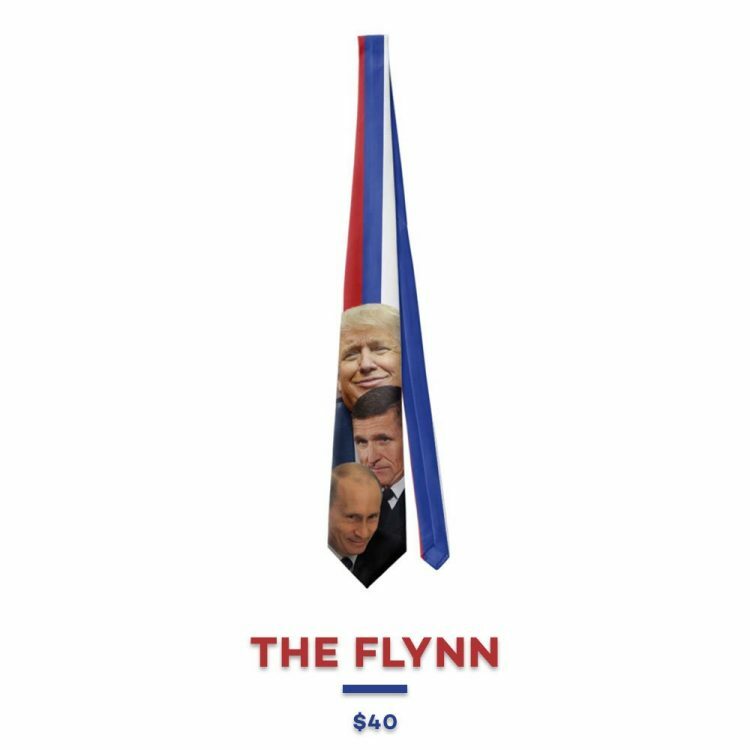 No word on the size of the ties yet, but I bet they’re loooong.